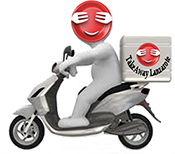 Best Takeaways Typical Canarian Restaurants with Delivery Services in Playa Blanca Lanzarote - Best Food Delivery Typical Canarian Restaurants - Takeout Meals at your Home or Office - Call 0034 691 555 161 or Order your Favorite Meal online - Playa Blanca Lanzarote, Canarias . Best Typical Canarian Restaurants Takeaway in Playa Blanca Lanzarote - Food delivery Playa Blanca Lanzarote from most Recommended Typical Canarian Restaurants with Delivery - Order your Favorite Takeout Meals Online on over the phone calling 0034 691 555 161. Typical Canarian Meat There are 12 products to choose from.